With the U.S. in a presidential election year, don’t expect a major breakthrough at the talks that have started on Iran’s nuclear program. But compromise may come next year. All things considered, it’s highly unlikely that the just-resumed talks between Iran and the so-called P5+1 world powers will result in a breakthrough. According to analysts in Washington, the best result that might come from this week’s talks in Istanbul are an agreement to continue negotiations in a second round, possibly within weeks, in search of a compromise over Iran’s uranium enrichment program. But success is likely to be postponed until the summer of 2013, at the very earliest, even though Iran’s chief negotiator, Saeed Jalili, has hinted that he’ll bring new ideas to the table. That’s because neither the United States nor Iran, whose domestic politics are roiled by hardliners and who both face presidential elections, have maneuvering room to compromise. In the United States, President Barack Obama has quietly signaled his readiness for a compromise that would allow Iran to continue to enrich uranium, under its own control and on its own soil. But Obama won’t make the concessions needed to persuade Iran to strike a deal in advance of the November 2012 election, in which he’ll face a Republican challenger, backed by a coalition of hawks and neoconservatives and by Israel’s Prime Minister Benjamin Netanyahu, who intends to make Iran a focal point of the anti-Obama campaign. Once reelected, as Obama recently hinted to Russia’s President Medvedev in connection with U.S.-Russia relations, he’ll have additional flexibility in making foreign policy decisions. 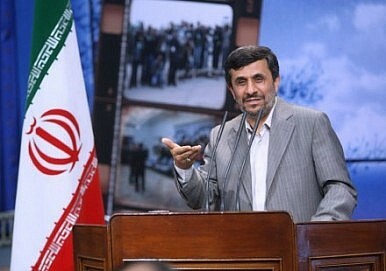 Iran, too, will probably await the outcome of its own presidential election in June 2013. At that time, one big advantage is that Iran will have a president not named Mahmoud Ahmadinejad, whose provocative antics and over-the-top comments have allowed his American and Israeli critics to demonize him, making U.S. concessions to Iran significantly more difficult. By mid-2013, Iran’s president – who is nearly certain to be a conservative closely attuned to the desires of Supreme Leader Ali Khamenei, unless Khamenei decides to abolish the presidency entirely and take the reins of power himself directly – will rule over an Iran far more politically unified than it’s been since the Green Revolution upsurge and Ahmadinejad’s subsequent falling-out with Khamenei. And that president will be able to present a new face to the West, especially to the United States, at which point serious negotiations may be possible. In the current round of talks, which began in Turkey on April 13, the United States has adopted what on the surface appears to be a tough opening stance. According to the New York Times, which based its reporting on information from senior U.S. officials, the Obama administration will demand the closing of a fortified, underground refining facility at Fordow, outside Qom, a halt to Iran’s efforts to refine uranium to 20 percent purity, and the transfer of its entire stockpile of its 20 percent-enriched fuel to a third country. In particular, the American call for Iran to shut its Fordow plant seems like a nonstarter, since that facility’s very existence was designed to safeguard it from military attack by Israel or the United States, and thus it appears as if the United States is demanding that Iran retain only plants that are more vulnerable to bombs.